They were England team-mates for over a decade, and Steven Gerrard and Ashley Cole have clearly enjoyed playing out the twilight of their glittering careers together in the USA. Despite LA Galaxy's MLS Conference semi-final defeat by Colorado Rapids at the weekend, the pair were all smiles as they posed for a picture on the former Liverpool captain's Instagram. 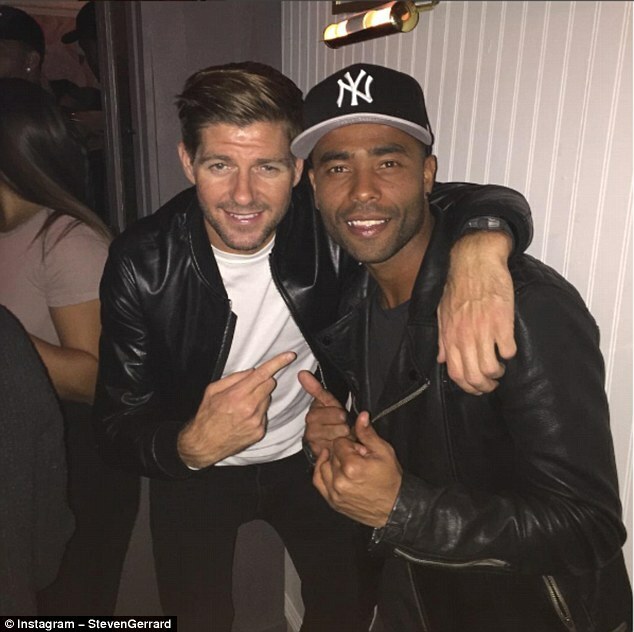 Gerrard described the former Chelsea defender as 'the best left back on earth' as the two hung out in almost matching leather jackets. Speculation over the ex-England skipper's future has intensified in recent weeks following the end of his MLS season. The 36-year-old's contract runs out at the end of the campaign in Los Angeles, though manager Bruce Arena is keen for him to stay.